Mountains, desert, and water. When visiting Big Bend National Park, you might wonder how to tackle such a varied topography. Encompassing more than 800,000 acres, the park is the largest protected area of Chihuahuan Desert topography and ecology in the U.S. It’s a land of dramatic contrasts—extremes in temperature, elevation, and moisture are found in the three distinct regions—which makes it seem like three parks in one. 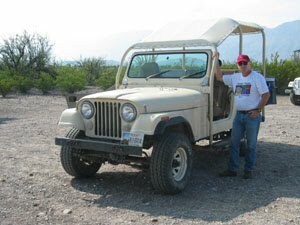 Fortunately, there are many ways to see and experience Big Bend’s rugged landscape. Each mode of travel gives visitors incomparable views of this lightly visited national treasure. Hiking. 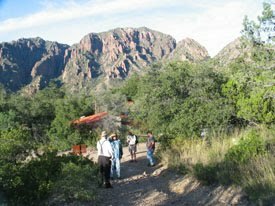 At the Chisos Mountain Lodge, a comfortable walk leads you to The Window, a natural opening in the Chisos Mountain Range that affords a panorama of the valley and stunning landscape beyond. Many other well-defined trails range from easy to moderately difficult, making them suitable for family hiking. The Lost Mine Trail covers 4.8 miles round trip and offers one of the finest views in the park at Juniper Canyon Overlook. 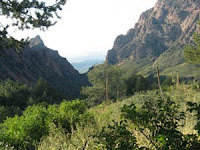 The vast wilderness areas provide an abundance of old roads and trails, primitive hikes guaranteed to challenge the toughest hiker or backpacker. Horseback riding. A visit to the Old West wouldn’t be complete without saddling up and riding into canyons, across mesas, up mountains, or through ruins of an old quicksilver mine. 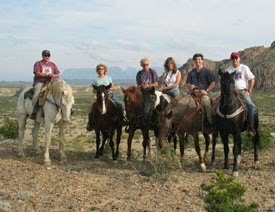 With excursions ranging from one hour to all day or more, area stables give visitors a taste of cowboy legend. Views are spectacular, no matter how far or long you ride. 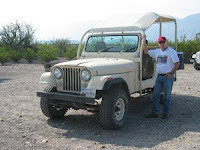 Jeep touring. Learn more uses for cacti than you ever thought possible. Interpretive tours offer insight into the abundant plant life and geology of the area. Colorful wildflowers cover vast open territories in spring, while old mining sites and 80-million-year-old fossils can be seen year-round as jeeps navigate mountain and desert roads you might not want to traverse in your own vehicle. Expert guides share historical lore and botanical knowledge that increases appreciation for the varied topography in the park. No matter how you choose to explore Big Bend, chances are you’ll return—lured by the scenery and serenity of the location. With only 300,000 people visiting Big Bend annually, it is one of the least crowded national parks. If you missed the fee-free weekends during the summer, you can tour the national park free of charge on September 25 (Public Lands Day) or November 11 (Veterans Day).